See why so many people and businesses in greater San Diego count on our dealership when they want to buy and service Sprinter vans, and make your way to see us in El Cajon today! Price advertised for Service A and Service B includes all factory-required components. Please refer to your maintenance booklet for the complete list of factory-required services and details on the specific intervals of your vehicle’s year and model. Adhere to all required elements listed by model year and specific models as indicated on the corresponding service sheet for Mercedes-Benz Maintenance Systems in the USA. Expires 4/30/2019. Need transmission service? We’ll drain it, replace the filter and pan gasket, refill the fluids, and check mounts and linkages. Road test included. 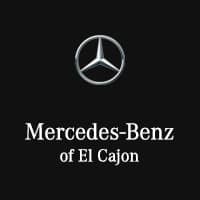 At Mercedes-Benz of El Cajon, we have an incredible lineup of new Sprinter vans and pre-owned Sprinter vans for sale near San Diego. Drivers in Escondido and throughout the San Diego suburbs know they can rely on us for everything from utility vans to world-class executive sedans. Make your way to see us in our brand new facility today, and count on our sales and service team to be there for you throughout the sales process and beyond. If you have any questions, feel free to call us at (888) 881-6670.